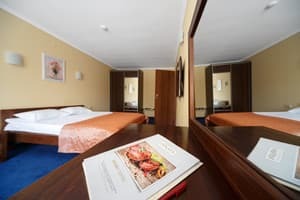 Hotel "Syhiv" - a cozy hotel with a modern interior which will provide comfortable conditions of residing both for long stay in the tourist center of the Western Ukraine - the city of Lviv, and for one-day rest of travellers. 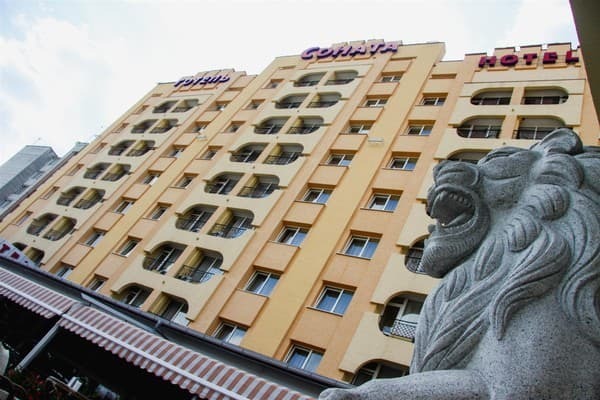 Convenient rooms, the affable staff, high-quality service and accomodation in a sleeping district of the city - harmony of comfort and price. 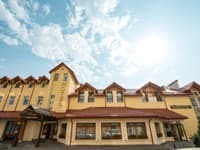 Our hotel offers 122 rooms (110 standard rooms with one big or two separate beds, 8 half delux and 4 lux), 2 specially equipped conference halls, restaurant of Ukrainian and European cuisines, parking place which allows to accept tourist buses without superfluous efforts. 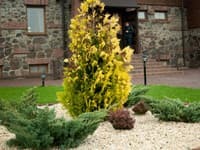 Besides, hotel "Syhiv" offers a number of additional services which you can use at any time of your stay in hotel. Description of the room: Cozy room for single or double occupancy. 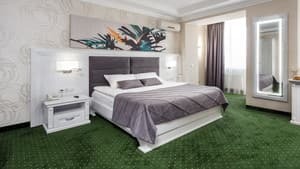 Each room is equipped with a comfortable double bed or with two single beds, a work area, satellite TV, a bathroom with a shower cabin with a dispenser for shampoo (for hair and body), towels, a hairdryer. The room has a direct telephone line and wireless Internet (WiFi), if necessary, guests can use the iron and ironing board for free. The area of the rooms of this category is 17 sq.m. 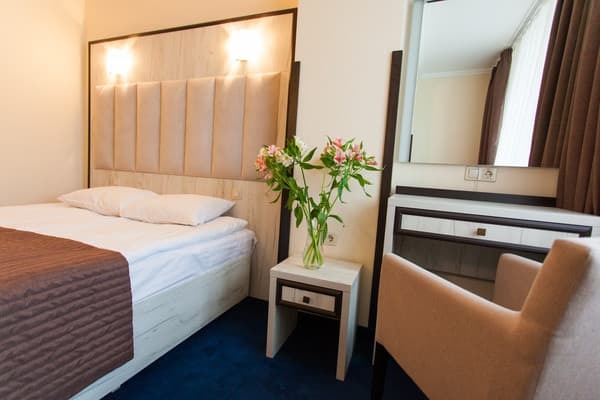 Description of the room: Cozy one-room suite (17 sq.m.) with double or twin beds, with a balcony and air condition. Description of the room: Spacious one-room suite (area - 18 sq.m.) with a double bed or twin beds and modern furniture. Description of the room: Exquisite two-room suite with a nice elegant design. 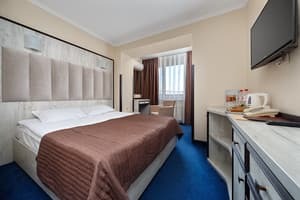 Area - 36 square meters, double bed (1.80 mx 2.00 m), modern furniture, bathroom with shower, mini perfumery, TV, telephone, bathrobe, slippers, mini-bar. Description of the room: Spacious two-room suite with a bathroom and a balcony. Description of the room: Elegant room with a nice elegant design. Area - 37m2, double bed (1.80 mx 2.00 m), modern furniture, bathroom with bath or shower, mini perfumes, TV, telephone, bathrobe, slippers, hairdryer. Accomodation of children under 6 in the same room with parents ia free of charge. Extra place - 150 Uah. Restaurant - bar "Sonata" works round the clock. The menu of dishes of Ukrainian and European cuisine. 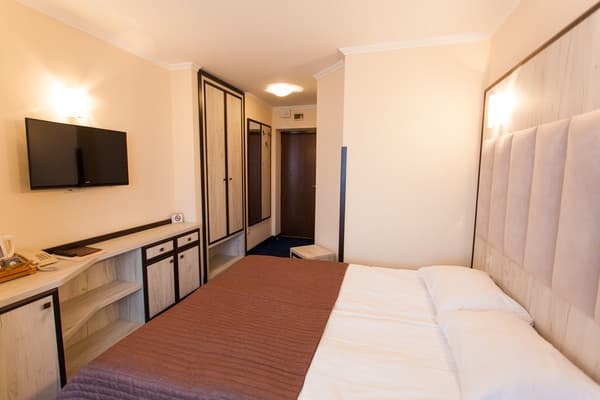 Hotel "Syhiv" is situated in one of the most comfortable districts of Lviv. The advantage of its location is a comfortable way to the airport, to the railway station and the bus terminal. By a taxi or a fixed-route taxi you will be able to get to any corner of our ancient city in 20 minutes. Transfer by agreement is possible.